Do you like persian carpet -- Henan Bosi Carpet Co.,Ltd. Do you like persian carpet? As we known, persian carpet are famous and popular in Iranian, India, Pakistan etc. 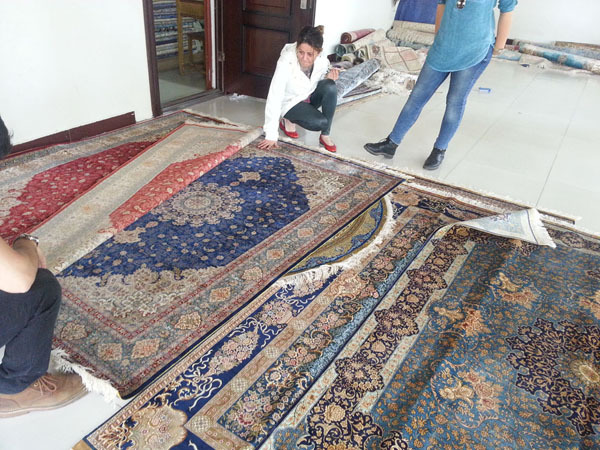 In fact, China also a big supplier of handmade persian carpets and rugs, including floor carpet, hanging wall carpet, round carpet, prayer rug, also Islamic. All kinds of designs and size available. If you are interesting handmade persian carpet, Bosi Carpet is the one of your choice. From learning, you will know more about us.